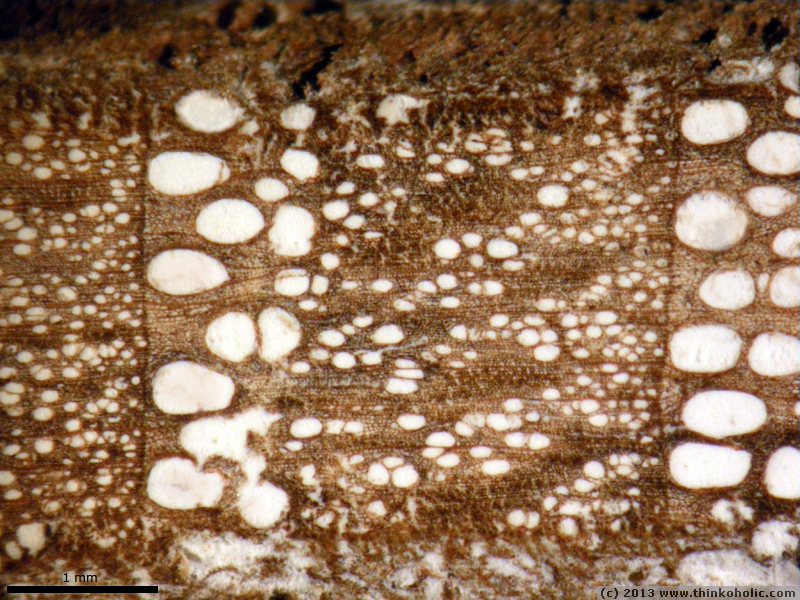 wood is one of the most important substances in the human world: it’s essential for areas as diverse as music (instruments), construction, living (furniture, heating), art (sculptures) and has a broad spectrum of other uses. 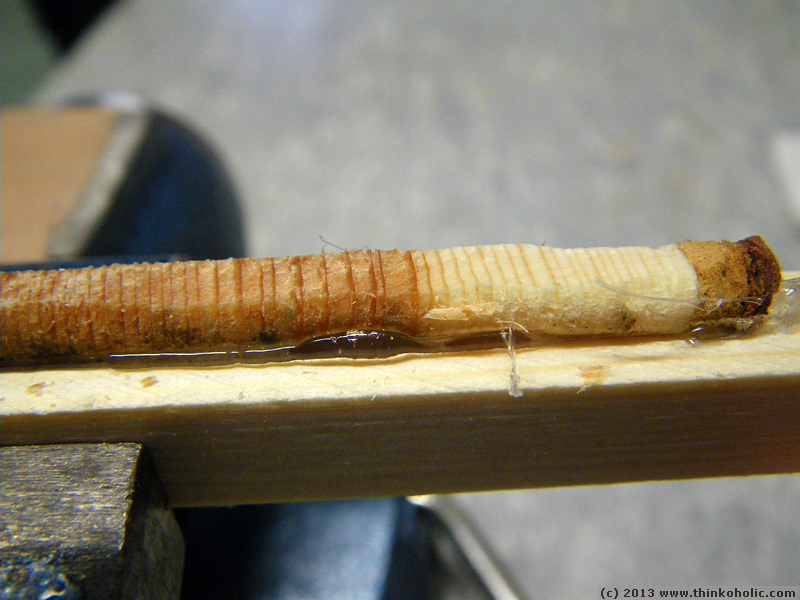 its beauty can be found anywhere along the way, from a living tree to a carefully carved toothpick. 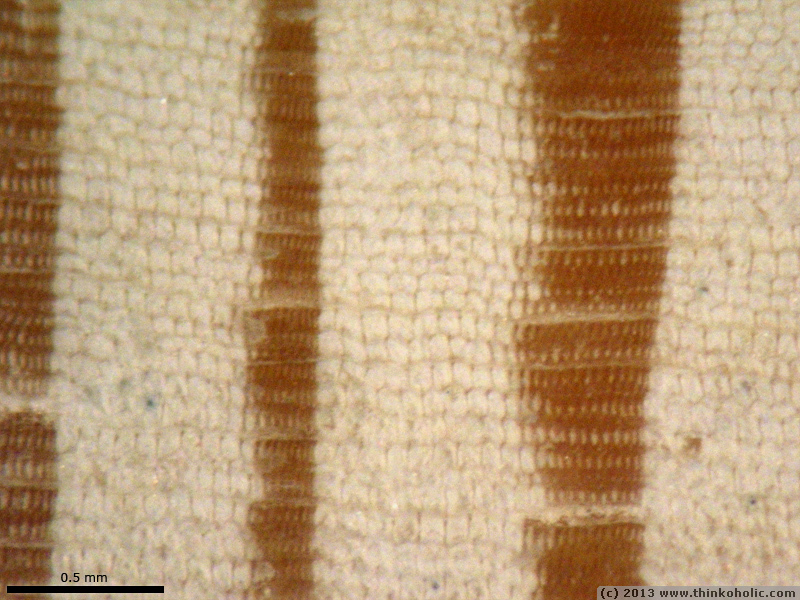 going a bit deeper, it seems to just get more and more beautiful. 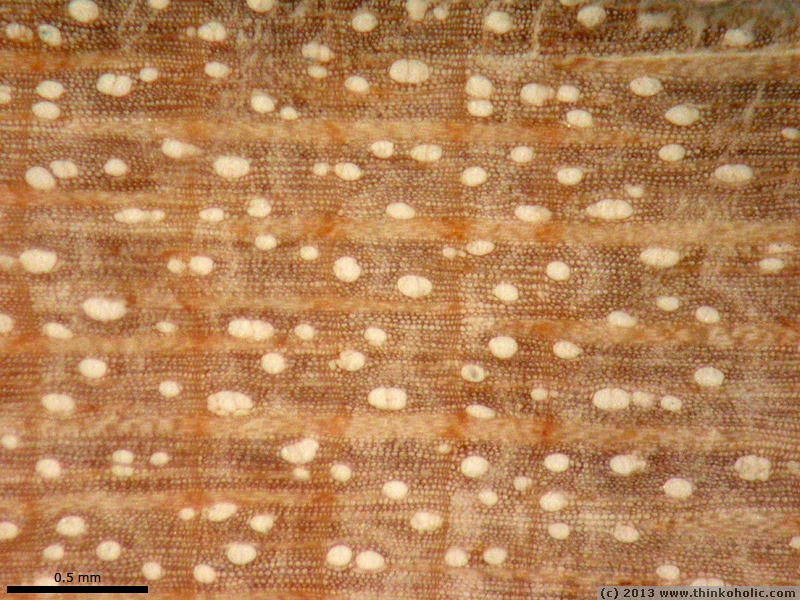 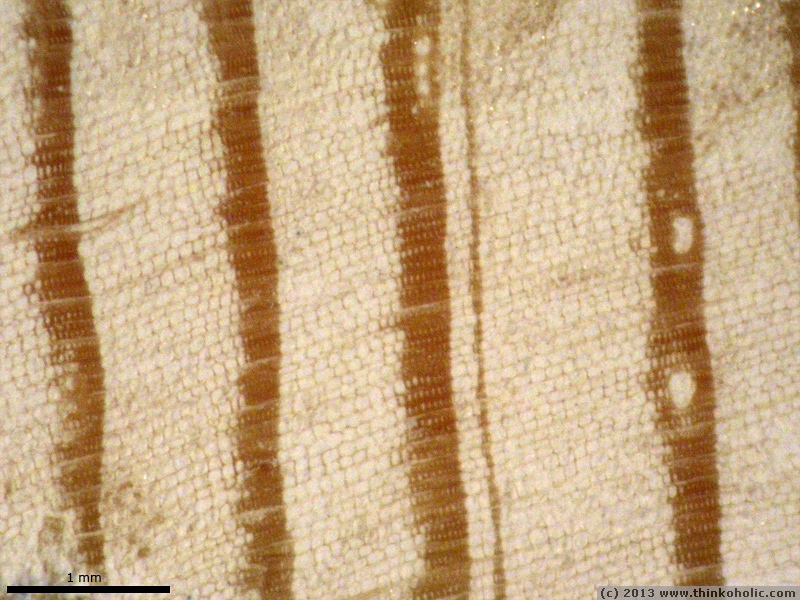 in this post, i’d like to show you the beauy of wood anatomy at a magnification that shows individual water transport vessels. 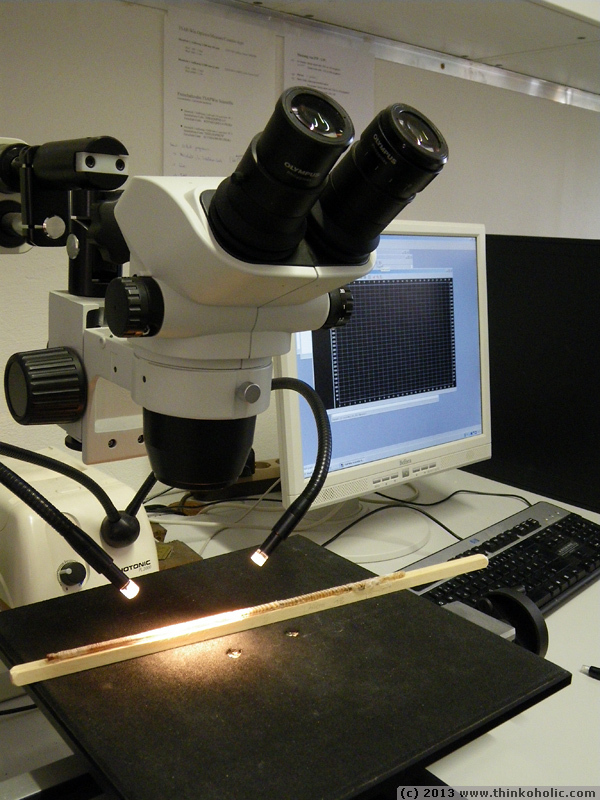 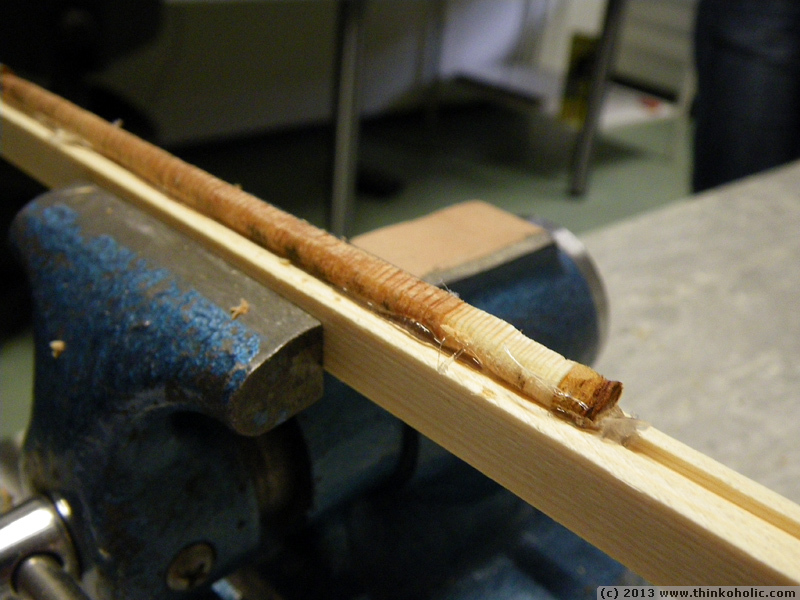 core samples (5 mm diameter) were obtained from living trees during a dendrochronology class (the study of year rings, and what they can tell us about the environment), a few years ago. 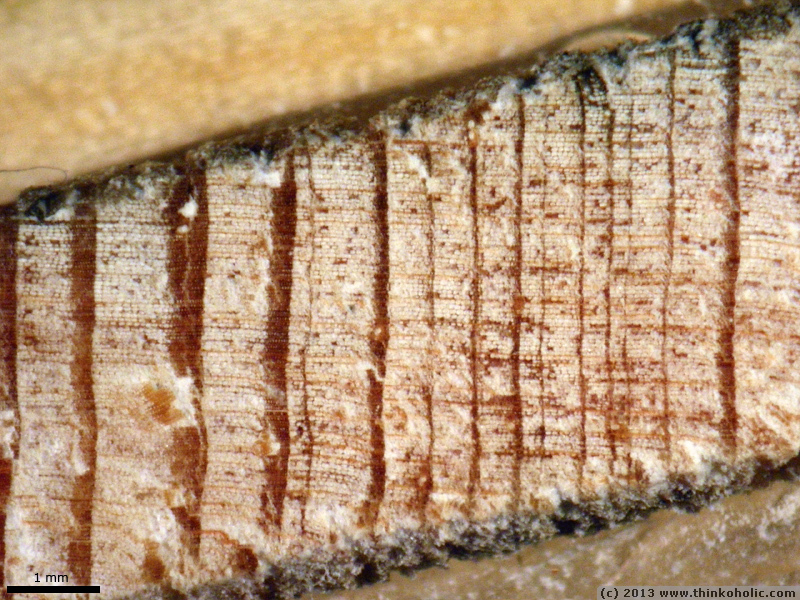 they were dried and carefully planed, and examined under a dissecting microscope. 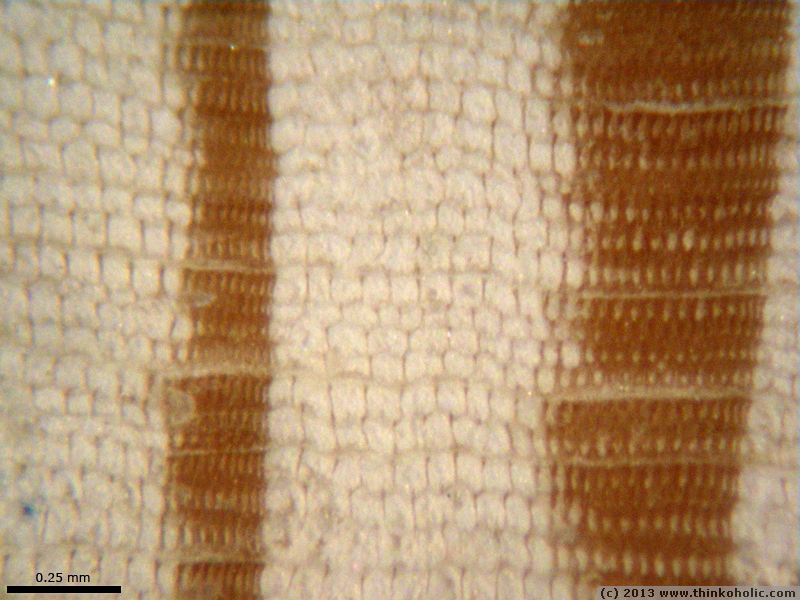 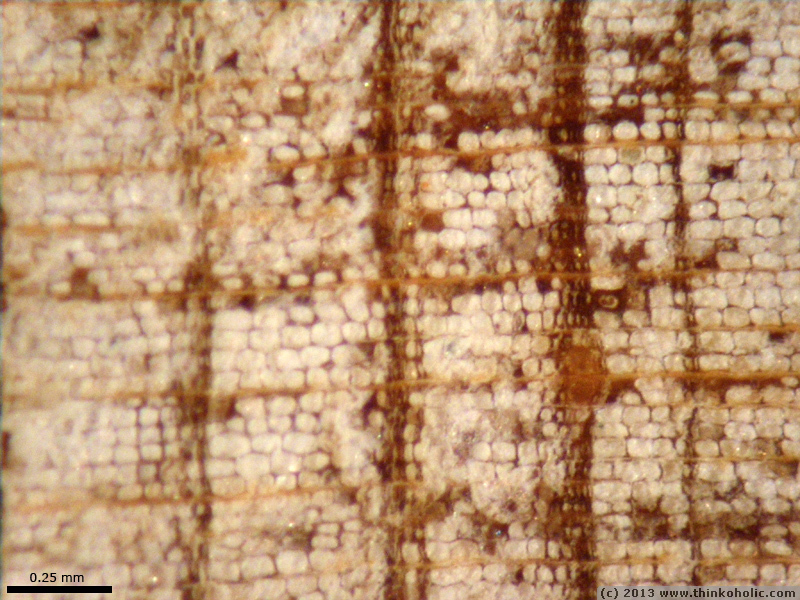 contrast was increased using chalk powder, which is why the vessels appear white, while cell walls stay brown. 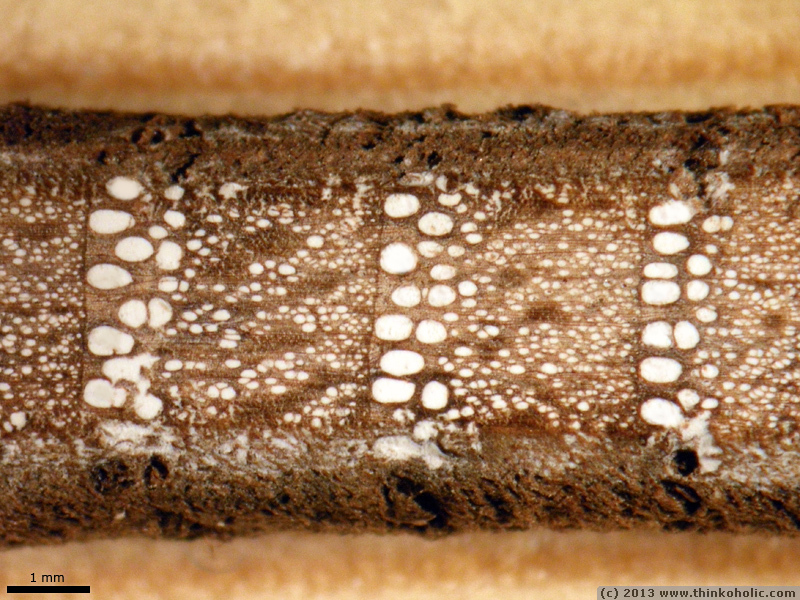 pictures show the cross-section wood anatomy of scottish maple (acer pseudoplatanus), sweet chestnut (castanea sativa) and european larch (larix decidua). 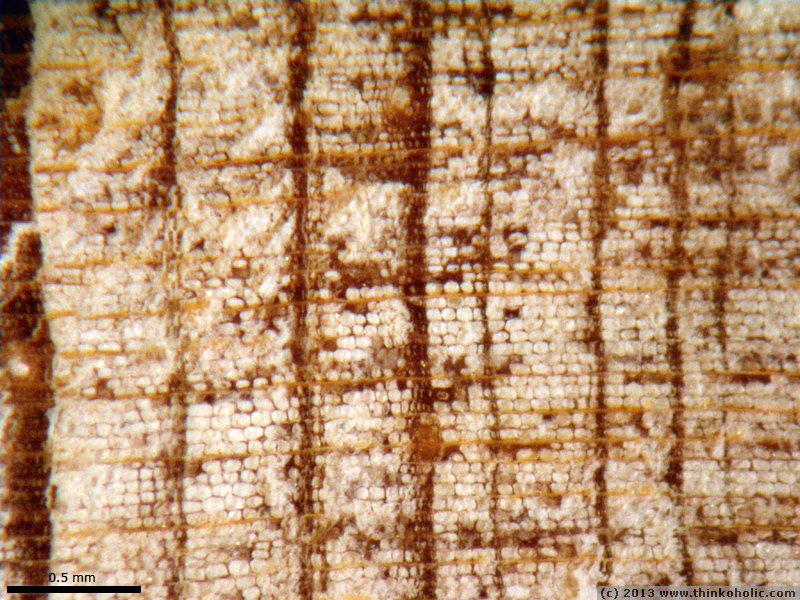 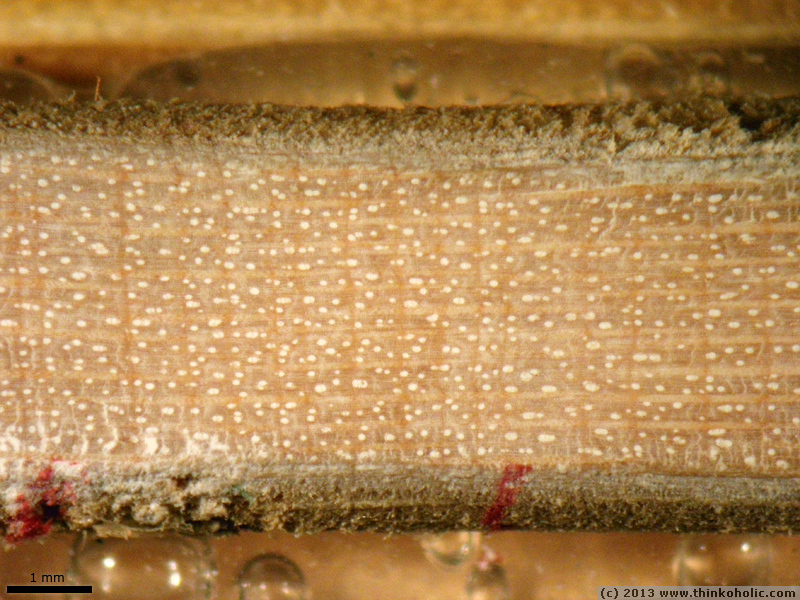 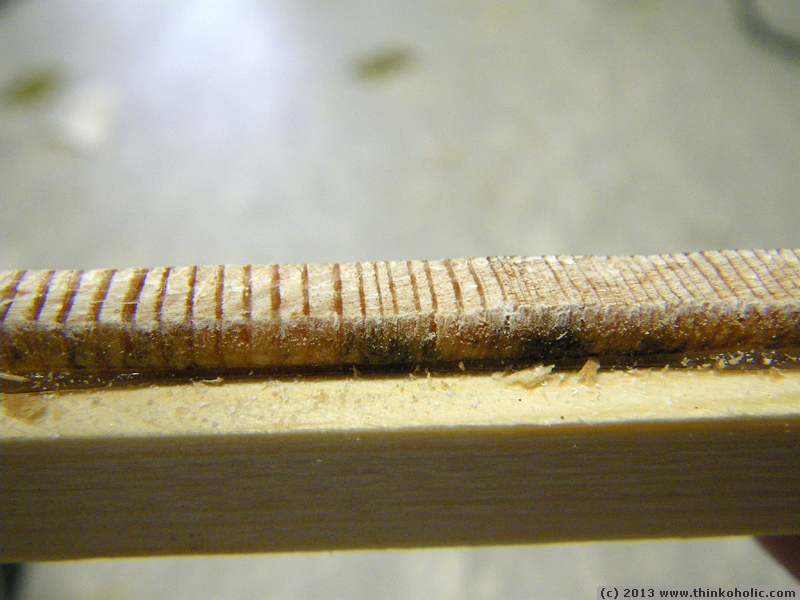 european larch (larix decidua) - wood core sample shows 8+ years of drought (around 1945; thin year rings, sometimes consisting of only a few cell rows). 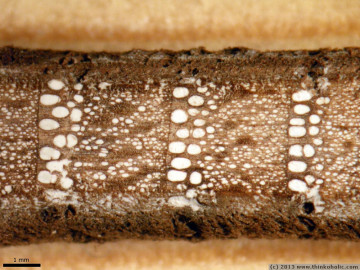 year ring borders marked by arrows.